Cinnamon -- 1 inch piece , 2 no. Cloves -- 3 to 4 no. 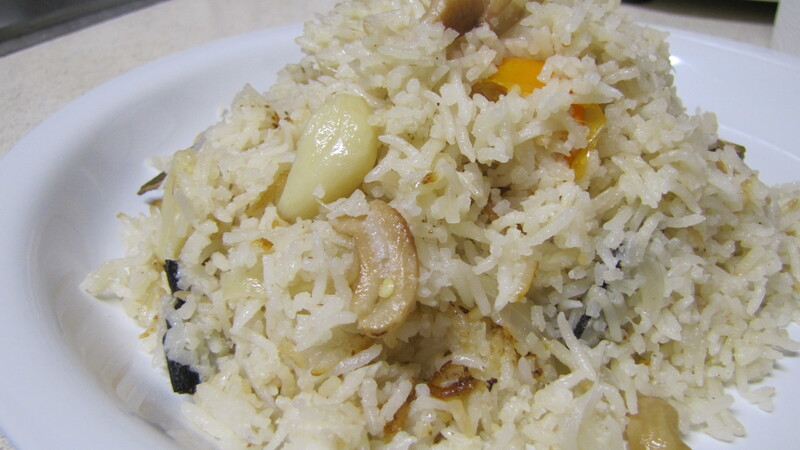 Clean the basmati rice and soak it in cocconut milk for 10 to 15 mts . 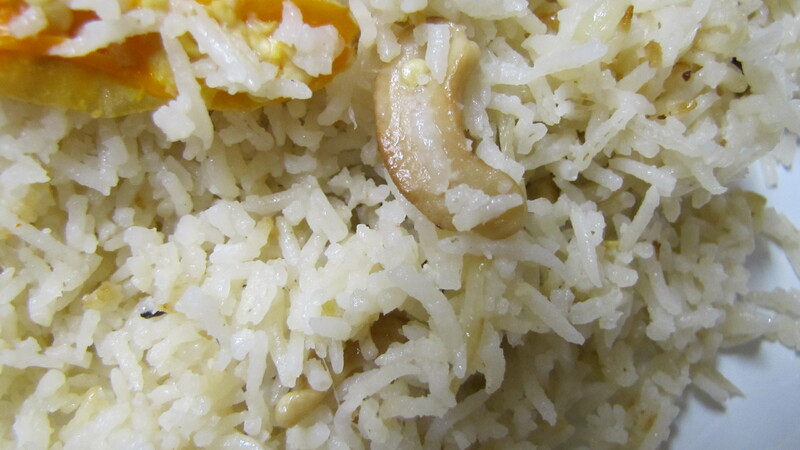 In the mean time, take a pan add little bit of ghee and fry the cashews and keep aside. In the same pan add the remaining ghee + oil and add Bay leaf (brinji ),Cinnamon,cloves and cardamom. Fry them and add onions followed by ginger garlic paste and scald well. Stir well till the raw smell of the GG paste vanishes. Followed by green chilly and garlic and combine well. Fry for fe minutes so that the garlic gets roasted. For those who wants to add some veggie's can go ahead and add it now. Literally we don't add any veggie's to Brinji rice. Transfer this mixture straight to the rice soaking in coconut milk and add the remaining amount of water specified and cook for 5 minutes in pressure cooker. For electric cooker,transfer the contents to the pan given for electric cooker and cook until the mode changes to warm. Serve hot..